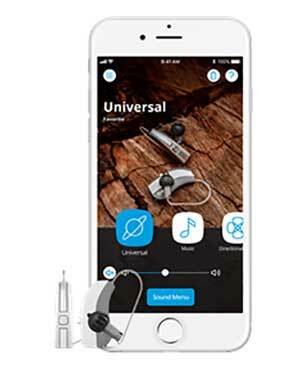 The rise in smartphone technology has led to a rise in listening possibilities with internet-connected hearing aids. Smart devices such as your iPhone or Android phone can do everything from stream music, TV or phone calls directly to your ears, control volume settings and help locate your hearing aids if you lose them. Audiology Services of Marin, Inc. reminds you that apps such as those from hearing aids manufacturers we carry such as Phonak, Oticon, and Widex help you manage all the hearing technology capabilities of your hearing aids. Control settings: our hearing aids connect with the apps to allow you to adjust settings on your phone – no more reaching behind your ear to make adjustments. This allows for more discrete and customizable adjustments, helping you control volume, bass, treble, and more. Stream sound directly to ears: You can have driving directions in your car, phone calls and music sent straight to your ears, helping you stay connected. Remote microphone: Today’s hearing technology lets you use your smartphone as a microphone – just place the phone between you and the person you’re speaking to in a noisy situation to better hear them. 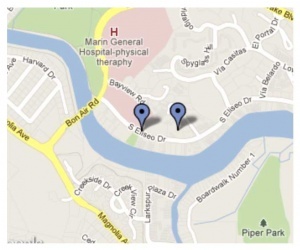 Find Hearing Aids: If you misplace your hearing aids, GPS tracking technology on smartphones can help you locate them. The “hot and cold” feature will tell you if you’re getting closer or farther away from the lost devices.